Where the treatments are as individual are you are! Is pain impacting your work or home life? Has injury affected your ability to exercise or enjoy your favourite sports? Do you feel tired, stressed and that life is taking its toll on your health? If the answer is ‘Yes’ , it’s definitely time to take ‘Time Out’ to relax, repair, and re-energise – restoring balance and your sense of wellbeing. I’m Sandra Harris, and I am the Principal at Time Out Therapies, based in Stoke Gifford, Bristol. 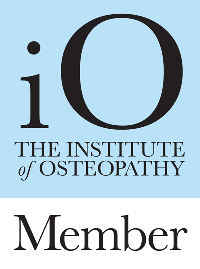 I am a qualified Osteopath, BSc Hons (First Class), experienced in providing effective pain relief treatments using Osteopathic and Kinesio taping techniques. I also specialise in a wide range of complementary therapies, including Bowen Technique, Reflexology and Holistic Massage. I provide patient-centred, quality healthcare where integrity is fundamental to my practice and philosophy. You are the focus of my work and during your first consultation I will thoroughly explore your presenting symptoms. Since I am qualified across a broad range of therapies, I can make a personalised recommendation on which I believe will best suit your needs. 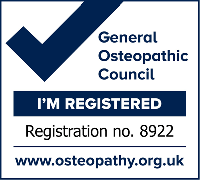 As an Osteopath, I am a primary healthcare provider, which means that I can diagnose and treat your problem without a referral from your GP. Equally, I can directly refer you to alternative professionals, if your needs are outside my scope of practice. I also have the necessary qualifications for claiming under Health Shield, Simply Health and Vitality insurance schemes. My Clinic is a reflection of my ethos and practice – a tranquil, relaxing environment – offering you the convenience of late evening and early morning appointments, as well as daytime, with the bonus of free, off-street parking. To have an initial chat with me, please 'get in touch'. I initially went to see Sandra for Bowen Technique after experiencing frequent aching in my shoulder and neck. The neck and shoulder pain very often escalated into a tension headache as well. 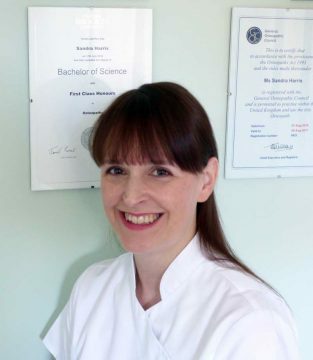 Sandra provided a series of treatments using Bowen technique and, more recently, I have begun to receive Osteopathy treatments. I've felt a big reduction in the level of pain in my neck and shoulder and also have had a lot less headaches. I am much less aware of problems during work. Since coming to see Sandra, I feel much more positive that I can get help in dealing with pain through both Bowen and osteopathy. My enthusiasm to go cycling has also begun to return with the reduction in neck pain. "I have a Bowen session every three to four weeks; I call Sandra my miracle worker because, to me, she is!" It is important to me that I offer a professional service that complies with, and is fully backed by, the high regulatory and professional standards set by UK trade associations and regulators. Sign up to receive my free 'Don't Take Back Pain Lying Down' factsheet, research and health news.